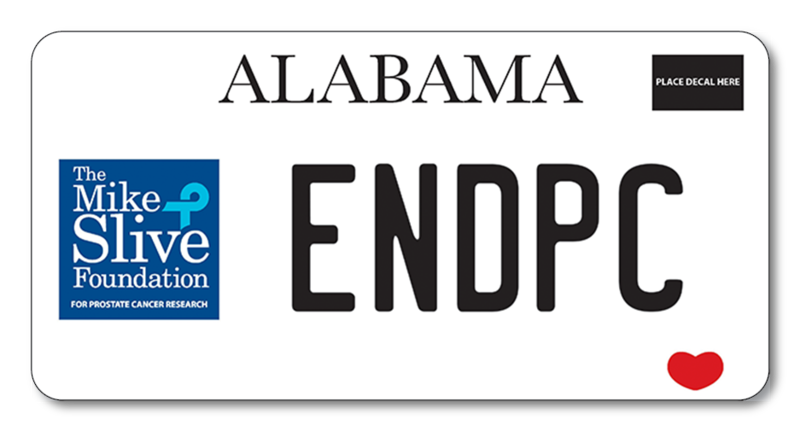 We are proud to announce that – thanks to our many supporters – we met the minimum to put the Mike Slive Foundation logo an an Alabama license plate! This tag will help fund prostate cancer research. Over the next several weeks, we will be working with the DMV to get these plates on the road. For those that signed up in advance, watch for an email from the DMV to let you know it is time to get your tag. If you missed your opportunity to sign up in advance, please click here to be notified when you can head to the DMV and get yours! No matter who you are, this is your fight. You know someone. We guarantee it. With more than 150,000 new prostate cancer diagnoses and 27,000 deaths each year, this is everyone’s fight. Spouses, children, siblings, and friends all have good reason to enable more research that will save lives. The Mike Slive Foundation for Prostate Cancer Research honors the vision and leadership of Mike Slive. We will continue to carry out our mission, celebrating Mike’s legacy of funding cutting-edge research and raising awareness of prostate cancer.